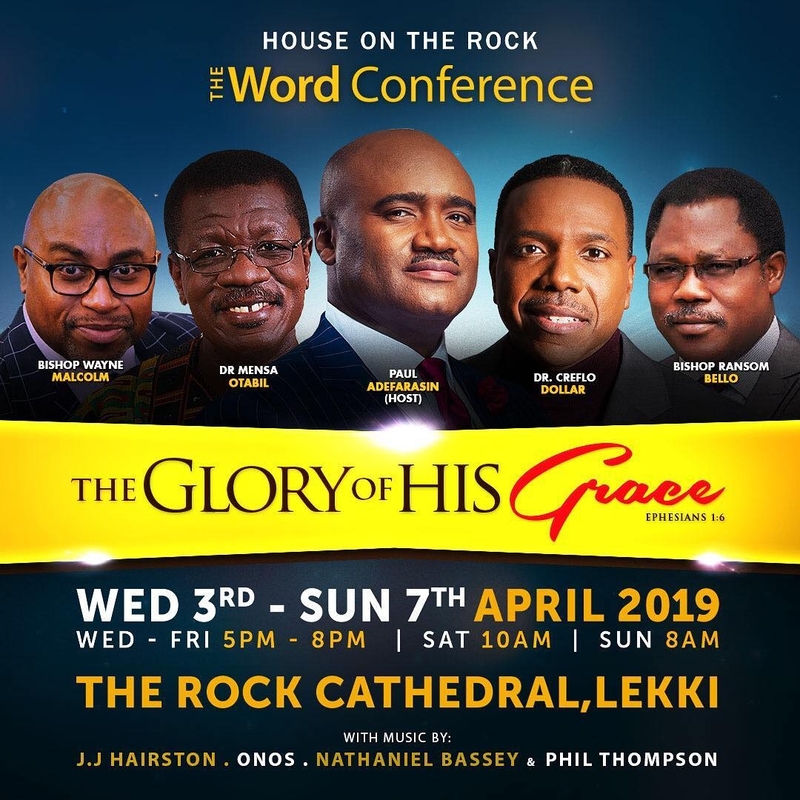 Prepare yourself and get ready to experience the greatness of God’s glory at the much anticipated Word Conference with anointed Ministers - Creflo Dollar, Mensa Otabil, Wayne Malcolm, Ransom Bello and Host, Paul Adefarasin. Also featuring phenomenal praise by Psalmists - JJ Hairston, Phil Thompson, Onos, Nathaniel Bassey and LMGC among others. 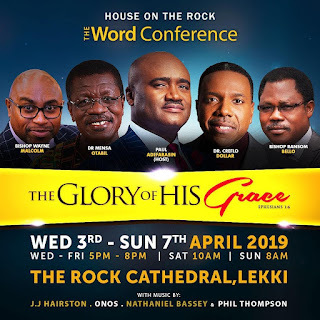 Clear these dates on your calendar - Wednesday, 3rd April to Sunday, 7th April 2019 and mark them as a turning point in your life as God reveals the glory of His grace in your life. Bring your friends and family along as well. There’s grace enough for all.